Runs 135 pages, including index, order of battle, endnotes and references. After completing my “Maps of Gettysburg,” decided to begin a quest to map every major campaign in the Eastern Theater. So, what would be after Gettysburg? First Bull Run, of course. Like the other books I wrote in this series, I thought I had a good knowledge of the battle, but it has been enriched by my research. I wish the book had been longer, but I didn’t want to milk the topic. I could tell the story in 51 maps and that’s just what I did. One of my biggest surprises was that readers don’t really care that much about this campaign. It has always been one of my favorites. I love to walk the battlefield. It is so small that it is fairly easy to learn the nuisances that are more difficult in larger battlefields. After completing the book, I decided to not progress in chronological order. How can I buy this book? I would like two of them. 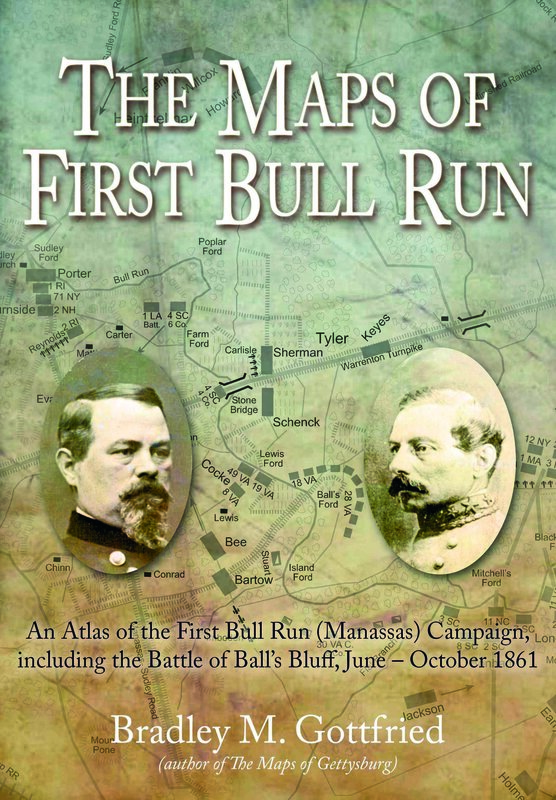 The Maps of the First Bull Run book is out of print, but can be purchased via Amazon or eBay.